What could be better than getting a good night’s rest then waking up to a gorgeous bedroom every morning? Not much. That’s what you get when you buy the Nostalgia Night Bedroom Collection by Camelgroup. It is the personification of comfort and is devoid of unnecessary adornments which complicate designs. Each piece is simple, elegant and adds comfort to bedrooms. Each has subtle curves complemented by clean lines which create a refined look that fits easily into any style. Inspired by traditional European design, Nostalgia Night is a collection that is sure to delight the senses. It is made from walnut wood veneer and includes a panel bed, mirror, dresser, and two nightstands. The bed has a stunning headboard with metal adornments. It can be made in plain wood or upholstered. The frame has a plank beneath the mattress which opens up to reveal a large storage area. The furniture pieces in the collection have neutral tones and blend easily into different bedrooms. Without a doubt, Nostalgia Night has a fitting name. It makes you recall days gone by, your parents’ home, or even your grandparents’ home. The set not only offers a good night’s rest, it offers so much more. 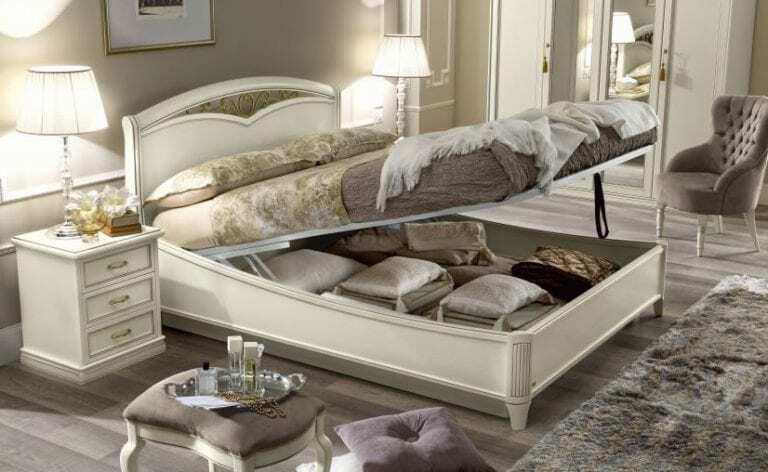 Its bed has space for all your bedding, pillows, and other bedroom essentials. The spacious storage ensures you find all your things easily any time you need them. Cover the bed with cozy bedding and discover what sweet dreams are truly made of. Won’t you enjoy having Nostalgia Night in your bedroom?